I am so happy it's the weekend again, lie in tomorrow (literally what Saturday mornings are made for) and a friends birthday celebrations tomorrow night. I have resisted pub temptations this evening and spent it exercising instead (I know, I know how ridiculous) reason being is that I have a first fitting for my bridesmaid dress Sunday and in my head if I run about a bit and fit in a few sit ups before hand I will be automatically blessed with the body of a goddess in time for Sunday. Clearly deluded but oh well good intentions and all that. Onto the outfit... 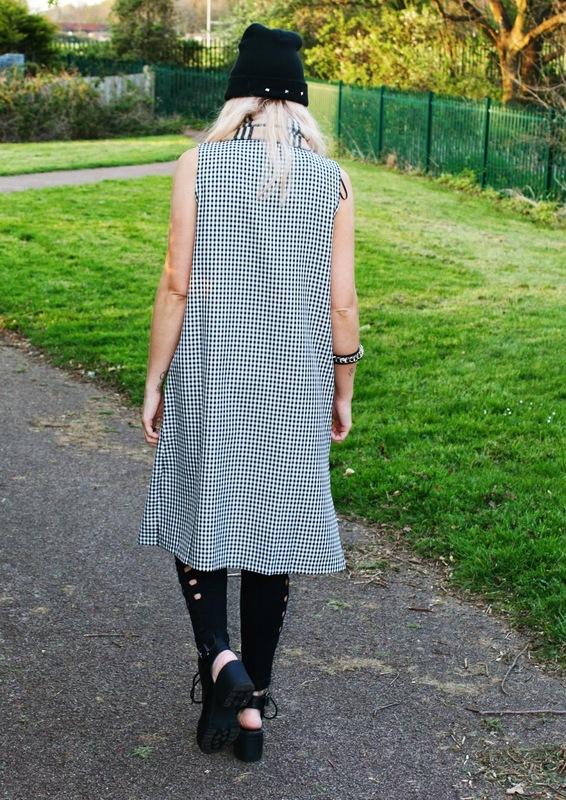 I was recently sent this gingham beauty by the lovely ladies over at In Love With Fashion I loved the length of this jacket and knew it would be the perfect statement piece especially for Summer because of the short sleeves. 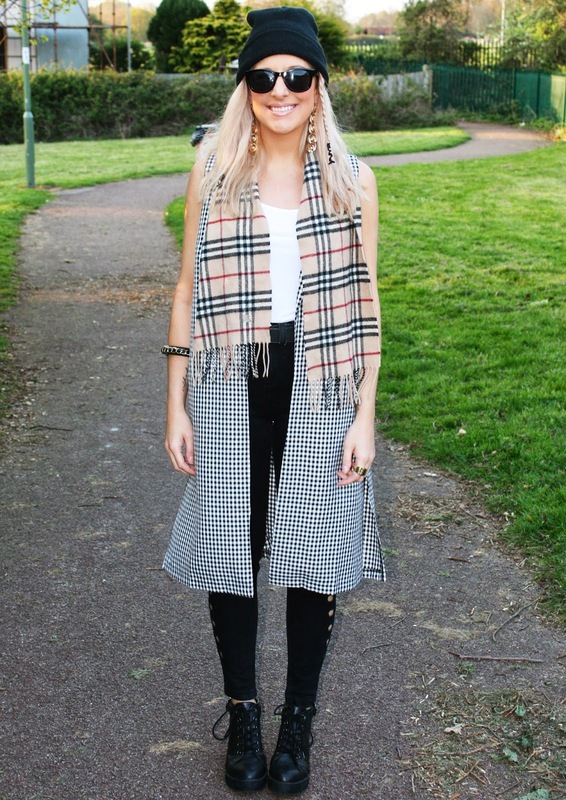 I added the Burberry scarf as I love a clashing print at the moment, I wish I was brave enough to clash more often! Love it all! 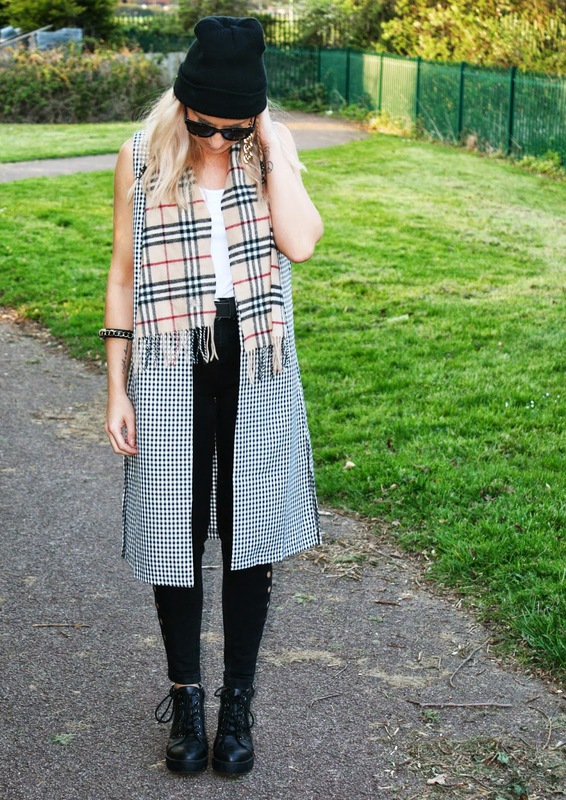 Adore the jacket it's such an easy piece to style especially as its getting warmer. Love your style, i had to follow you! And gosh your smile is pretty! Perfect styling, I love your look! Love it! The sleeveless coat is gorgeous!